Photo of Sarah Cotton by Nikolaus Jung. 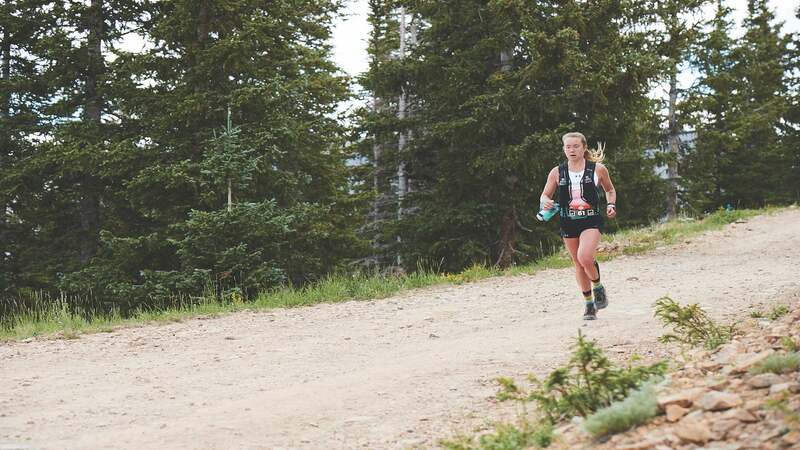 The first thought most runners have when an injury pops up is about the physical recovery process, but in reality, mental fortitude is just as important. In high school, I was undertrained, and in college, I was in over my head. The Georgetown University women had won the NCAA title the fall I was being recruited, and I was ecstatic to join them. When I arrived, an eagerness to succeed and a competitive drive led me into a cycle of pushing myself too hard, getting fit too fast and getting injured too often. The summer following my freshman year, several of my teammates decided to prepare for the cross-country season in Flagstaff, Ariz. Wanting nothing more than to be a legitimate contender for our squad, I decided to join the handful of girls in the mountains. Training in the thin air at 7,000 feet above sea level had me exhausted. During a short warm-up for an early summer workout, my body was sending me worrisome signals that ran in the face of my determination to prove myself. A sharp pain in my groin told me to stop running, and after I hopped in a friend’s car, I could barely sit in the seat, as putting any weight on it felt unbearable. The rest of my summer in Flagstaff consisted of a pelvic stress fracture diagnosis, a lot of cross-training and a few days of a seemingly innocent but uncomfortably high fever. When I returned to school in the fall, I was just starting to run again, and to my relief, I wasn’t having any pain. I resumed workouts with my team, and my summer of cross-training actually seemed to have paid off. Things started to click again, just before they really fell apart. Some residual soreness in my groin quickly became far more debilitating than it had been over the summer. Our team doctor prescribed me a steroid pack to ease the pain, and suddenly, those seemingly innocent fevers started showing up again. The combination of the pain and illness felt like an unlucky coincidence, but they both escalated so quickly that I was spending most of my days in bed. I soon found myself in the ICU with a shiny new diagnosis: staph infection. After starting the steroid pack, my body’s immune system plummeted, and the infection attacked the weakest part of my body: the pelvic stress fracture that was still healing. Weeks in the hospital were followed by months at home, recovering with the help of my mother and a semipermanent IV that fed me constant antibiotics. Several doctors looked at me with sad and pitiful eyes, telling me I might not ever run again, as my bone would never be quite the same. Determined to stay active, I started going for long walks at home. Eventually, ignoring the warnings from doctors, I began sprinkling short runs into my walks. I felt weak, but the pain was almost unnoticeable and eventually went away altogether. I was excited to be running again—even if I wasn’t going very far or fast at first. One-minute runs turned into 10-minute runs, and after a few months, I was back in a routine of beginning my days with 8–10 miles. Follow-ups and MRIs cleared me to compete again the next fall, and I was more determined than ever to get back to my team. I started the season less fit than I had been in years, but that fall, my mind outran my body. After every meet, my coach told me with bewilderment and astonishment that my race results were vastly more impressive than what my workouts were indicating I was capable of. In November, I toed the line at nationals with the other six girls who made up our varsity team. One year after receiving the diagnosis that threatened to take running away from me forever, I returned to the sport stronger than I’d ever been and in awe of the power of the mind.